Wanting to move to the Altona area can often mean that you don’t have a whole lot of choice when it comes to custom builders. Fortunately, Evenwedge Homes is more than happy to help you out with one of their highly qualified and expert home builders in helping you to achieve the property of your dreams, whether this be a unit or a mansion. There is no project too big or too small; our team is eager to tackle them all! 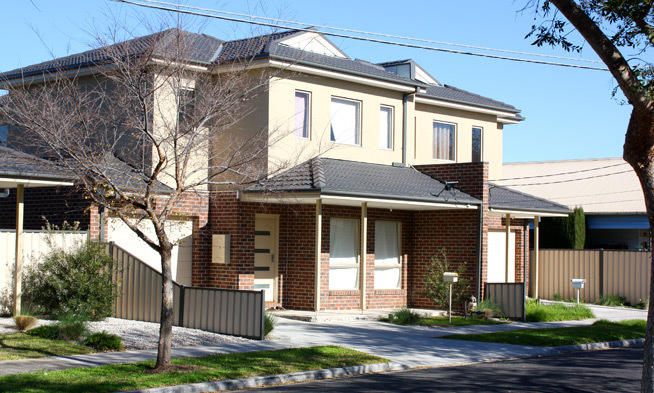 When you don’t want an overly large Altona property to maintain or you simply do not need all of the additional space, you should work with our townhouse builders. They are able to provide you with a home that has been designed to your exact specifications and are able to work with both single and double storey plans, depending on what your needs are. We also make sure to provide you with the plans for approval before construction starts. Our townhouse builders are also committed to providing all of our Altona clients with the most enjoyable and stress-free construction process possible, which is why they are more than happy to tackle the entire project. From drafting detailed architectural working drawings to obtaining building permits and arranging for painters to come in, our custom builders are able to handle the whole process, from start to finish, for you. One of the best things about our townhouse builders, however, is that they are more than happy to work with sloped land of almost any degree. We understand that you have probably chosen this block because it is in a perfect location or it will provide you with spectacular views, so we aim to the make the most of this wherever possible. We are one of the only home builders in Altona who will work with the steepest of slopes. If you are looking to move to the Altona area but don’t really know where to start when it comes to finding the perfect house, you should contact the custom builders at Evenwedge Homes. We are more than happy to discuss your project, help you look for an appropriate block of land, work with plans that you have already had drawn up and provide you with a soil test – our expert home builders really can do it all. Office hours: Monday to Friday 9:00am - 6:00pm. Consultations by appointment only.